Thankfulness Tablecloth– purchase an inexpensive plain tablecloth (a muslin painter’s drop cloth is an inexpensive option). Ask family members to write what they are thankful for with a permanent marker onto the tablecloth. You can assign each family member a different color, or use a different color each year. 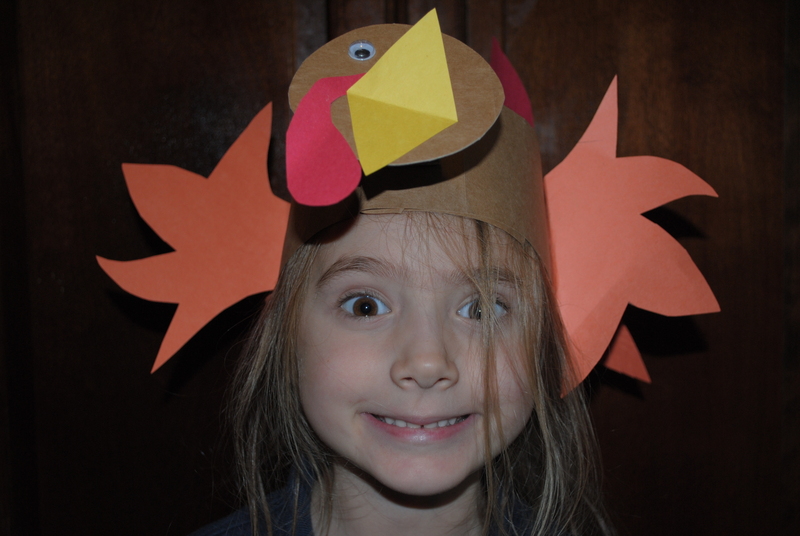 If your children are not reading age, ask them to draw a picture of what they are thankful for. Add to the tablecloth each year. What Would It Feel Like Without Game…Ask each member of the family to think of something they are thankful for and then ask them to describe what it would feel like if they didn’t have what they are thankful for. For example, I am thankful for a car that works and it would be hard to take my kids to school, soccer practice, and 4-H club meetings if I didn’t have a car that runs. Gratitude Time Capsule- Ask each member of the family to write or draw something they are grateful for. Have them date and sign the slip of paper, then place the slips of paper in a mason jar. Have the kids help dig a hole in the yard to bury the jar. Do this each year and then dig up the previous year’s jar to see what has changed. We hope you will consider adding one of these activities to your Thanksgiving traditions. Gratitude leads to Generosity, which is one of the Essential Elements youth need in order to grow up to be confident, capable citizens. Fostering a sense of generosity is just one way the 4-H volunteers and parents help youth. This time of year, 4-H Agents are especially thankful for the incredible 4-H volunteers who are making a real difference in hundreds of thousands of youths’ lives all across our state. 4-H volunteers are the core of the Florida 4-H Program and we THANK YOU for your service! For more information about 4-H, or becoming a volunteer, contact your local UF IFAS County Extension Office or visit http://florida4h.org. Mark Harvey is the manager of the North Florida Fair located at our capital city of Tallahassee. 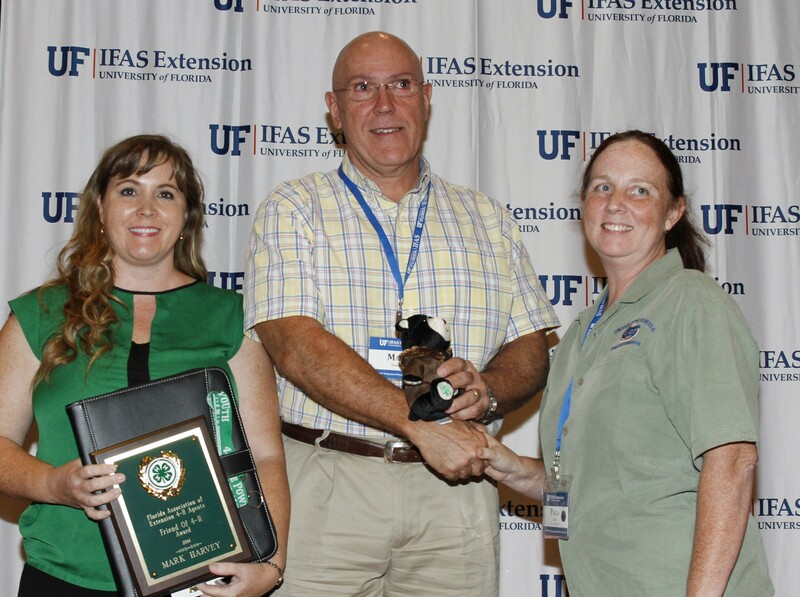 For the last thirteen years, Mark has worked diligently to promote both UF/IFAS Extension and 4-H Positive Youth Development. Mark took over as manager of the North Florida Fair after a successful 25 year career with the Tallahassee Police Department. He is husband to wife Suzanne, and they have raised four children. As manager of the North Florida Fair, he has systematically made positive changes to the fair to develop new partnerships to increase both funding and attract new audiences to the fair. One of his strategies has been to highlight the opportunities and strengths of the 4-H Positive Youth Development Program. With his background in law enforcement, he has long-been an advocate of positive youth development and understands why programs like 4-H have such high public value. Mark’s commitment to 4-H goes far beyond the typical support of providing premiums to members and clubs for participation in exhibits and contests. In order to facilitate better exposure for the 4-H program and the UF/IFAS County Extension offices though continued expansion of still exhibits in two buildings at the fair as well as during the annual 4-H day where 4-H youth demonstrate their life skills though four different project competition areas. Mark has encouraged the 4-H Extension Faculty of the Northwest District to take advantage of the North Florida Fair as an opportunity to market 4-H and educate the public in the Tallahassee area about the value of our program. Each year, he provides up to $1,000.00 for building improvements, educational displays, new signage, and marketing materials. These funds have helped the agents develop interactive displays on the Butterfly WINGS program and 4-H gardening projects. This past year, Mark invested his own personal funds to secure the engineering exhibits from the Mary Brogan Museum. These interactive exhibits help youth and families explore basic engineering concepts such as levers, pulleys, torque, and gravity. They have drastically increased traffic into the 4-H building and pair especially well with 4-H engineering projects such as robotics. In fact, with Mark’s support, the North Florida Fair was the first regional fair to incorporate a junk drawer robotics competition during 4-H Day at the fair. To encourage participation, Mark allowed faculty to bring youth to the fair to experience the engineering exhibits and participate in a mock contest. What I appreciate most about Mark is his accessibility and his willingness to entertain new ideas and methods. He never automatically says “no,” but considers carefully how to use our resources at the fair to educate, inspire, and make a difference in the lives of those who attend. Mark Harvey is definitely a friend to the 4-H program, and one of our biggest advocates who is helping to Make A Difference through the Florida 4-H Program. Do you know of a 4-H volunteer or advocate that deserves the spotlight? Send your nominations to Heather Kent at hckent@ufl.edu. Did you know that you do not have to own an animal to participate in 4-H Day at the North Florida Fair? Many youth look forward to competing in judging contests. The North Florida fair provides opportunities for youth to compete in agriculture judging, horticulture judging, and consumer judging. In addition to the judging contests, youth can also participate in North Florida’s only Junk Drawer Robotics Contest, where teams design and build a simple robot out of everyday objects. Make sure your registration is turned in on-time. Work with your club leader to coordinate car pools to and from the event. Counties further away may also need to arrange overnight accommodations (this needs to be done well in advance, as Tallahassee hotels fill up on home game weekends). Dress neatly. Wear a 4-H polo or club t-shirt if you have one. Some youth simply wear a white button down shirt with a 4-H patch sewn on. Wear denim, khaki, or dark colored pants, and be sure to layer your clothing. During this time of year, weather is unpredictable- mornings and evenings are cool, but mid-day can be quite warm. Wear closed toed shoes. Tennis shoes or boots are good choices; avoid flip flops or sandals. Bring a clipboard and 2-3 sharpened #2 pencils (mechanical pencils are even better). Work with your club leader or 4-H agent to purchase discount ride tickets. Armbands for unlimited rides can be purchased in advance for $15.00/person (this is a good savings). Bring extra money for food and beverages, or plan to pack a sack lunch. Visit the North Florida Fair’s website for show times- there are many shows that are free of charge and fun for the entire family. Make sure that you have a buddy at all times. Do not go anywhere without your buddy. Your 4-H Leader or Chaperone will want you to check in with them throughout the day. Decide in advance where, when, and how often you will meet. Don’t forget to attend the awards ceremony at 2PM!